This Glacier Bay 18 in. 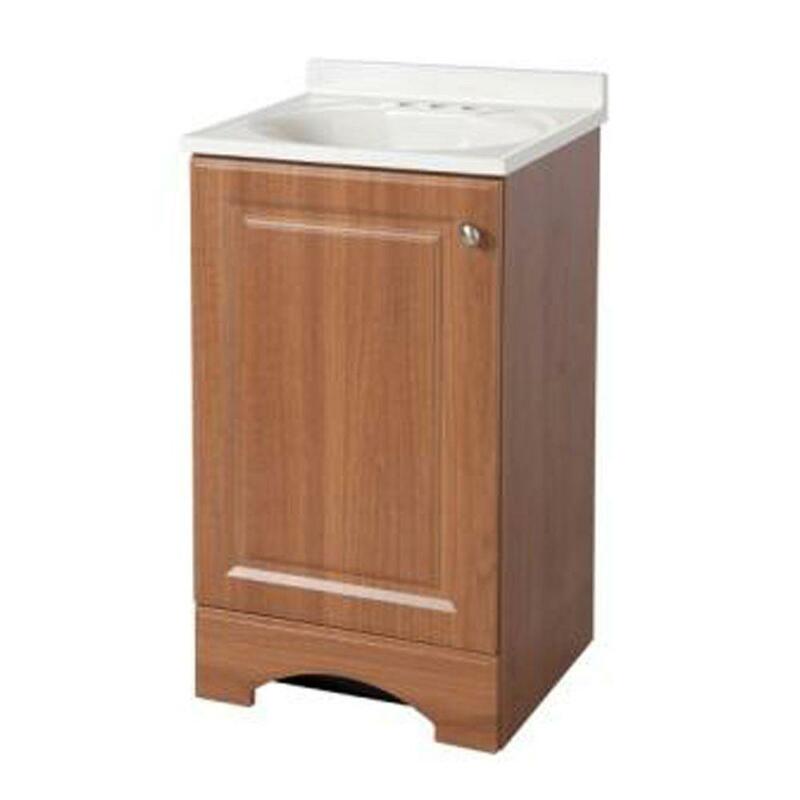 W Vanity in Golden Pecan with AB Engineered Composite Vanity Top in White is ideal for customers who are looking for traditional bathroom styling at an affordable price. 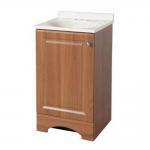 The single bowl vanity top is white and has 4 in. pre-drilled faucet mounting holes for extra easy installation. Limited Lifetime Warranty.